Did you know that by taking out a business loan, a UCC-1 Financing statement is automatically filed against your company? Multiple UCCs filed against your business could harm your ability to secure future funding and be damaging to your business’s assets. 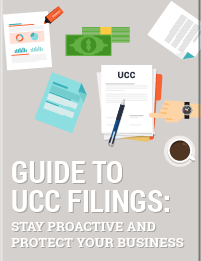 Download our free guide to UCC Filings to learn more about what you can do to be proactive against UCCs and protect the integrity of your business!